1. Q: How to choose a suitable university which offers the best business programs? 2. Q: What are the entry requirements of business programs in China? 3. Q: What's the teaching aim of the international economics and trade course? 4. Q: What's the teaching aim of the business administration course ? 5. Q: When should I apply for business courses in China? 6. Q: What documents should I upload when I apply for business courses in China ? 7. Q: How to upload documents? 8. 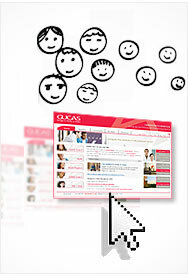 Q: How long will I have to wait after sending documents to the university on SICAS? 9. Q: How to go to ‘Track My Application Status’? Second, you can refer to the locations of universities ,choose the best city you want to stay. Finally, you ought to make a decision based on the above mentioned and the situations of different universities. A: In general, universities offering business programs will accept students with high school education. management & finance, and an understanding of China's economic, social and cultural environment. at least two months before the course starts and make sure you sent it early as vacancies may be limited. A: The materials for application fall into 2 categories: basic and extra documents. Extra documents: may include result of HSK, results of IELTS or TOEFL, results of Medical Examination etc. A: To start with, click ‘Browse’ in the ‘Upload your documents’column. Secondly, choose the required documents from your computer. Finally, click ‘OK’ to upload. The uploading time may vary from several seconds to one minute according to your local connection speed. When your documents are uploading, please DO NOT leave the current section or make any changes. check the application materials and process your application.